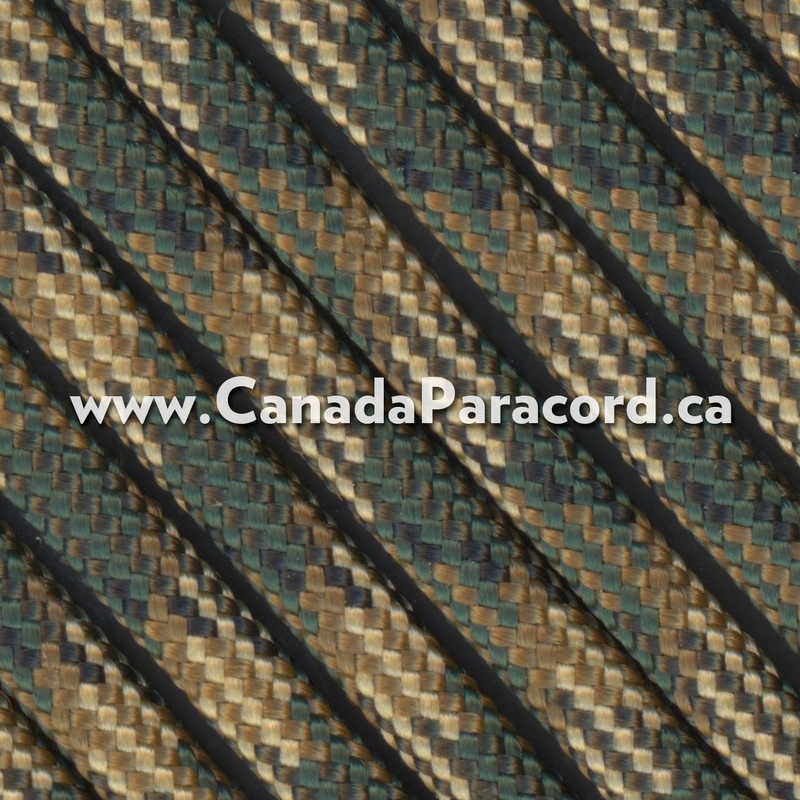 R&W Rope's 1,000 feet of R Camo 550 paracord is a commercial version of Type III military spec parachute cord. Made in the USA, it contains 7 strands in the core. This cord has a tensile strength of 550 lbs. R&W Rope's 100 feet of Multi Camo 550 paracord is a commercial version of Type III military spec parachute cord. Made in the USA, it contains 7 strands in the core. This cord has a tensile strength of 550 lbs. R&W Rope's 1,000 feet of Khaki 550 paracord is a commercial version of Type III military spec parachute cord. Made in the USA, it contains 7 strands in the core. This cord has a tensile strength of 550 lbs. 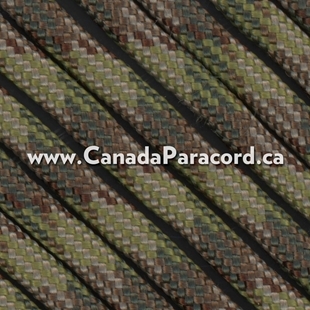 R&W Rope's 1,000 feet of Multi Camo 550 paracord is a commercial version of Type III military spec parachute cord. Made in the USA, it contains 7 strands in the core. This cord has a tensile strength of 550 lbs.